AFP’s Photojournalist Yuri Cortez: I Am Thrilled With Croatia! “I am thrilled with the beauties of Croatia and kindness of your people”. These are the words of Yuri Cortez, the Agence France-Presse (AFP) photojournalist, who won the hearts around the globe after being squashed amidst the celebration of Croatian football players after Croatia fought their way into the World Cup finals in Russia. 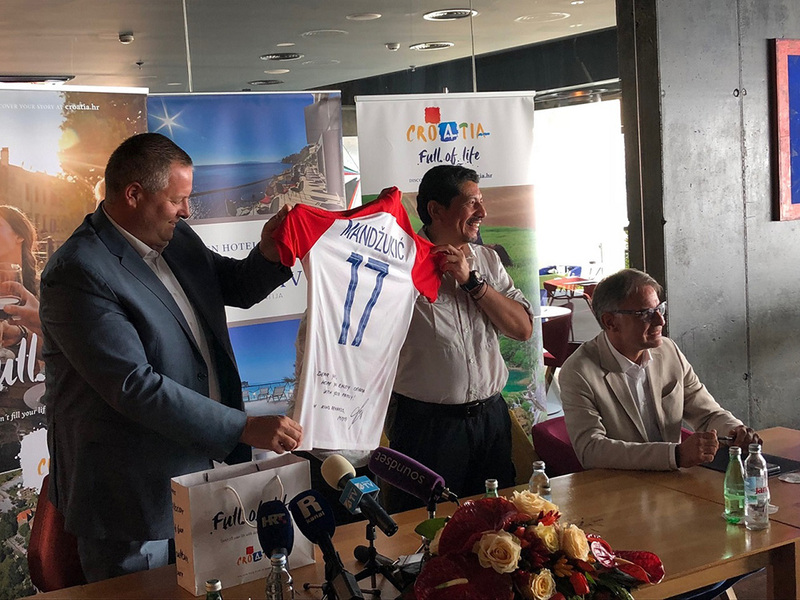 This is how he has described his stay in Croatia up till now at a press conference held in Opatija where Cortez was greeted by Croatian National Tourist Board director, Kristjan Staničić, minister of tourism Gari Cappelli, vice president of the Croatian Football Federation Damir Mišković and mayor of Opatija Ivo Dujmić. “It is our great pleasure that Yuri accepted our invitation with such thrill. 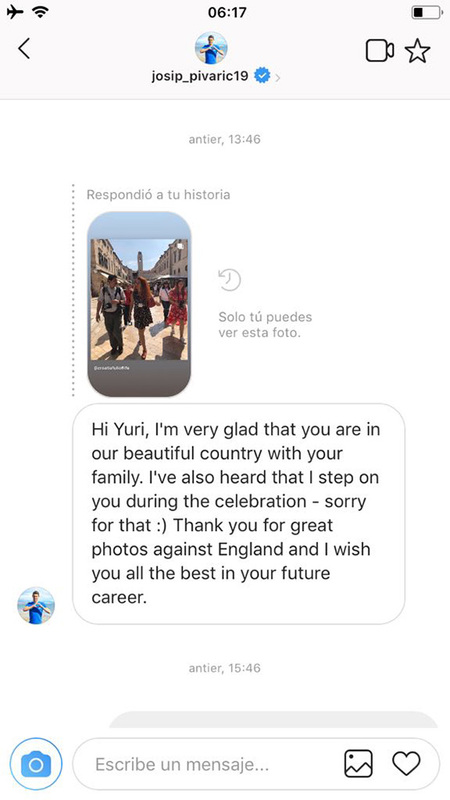 The details of his trip were agreed pretty quickly and during his holiday, Yuri has been working relentlessly on making hundreds of photographs in every possible occasion, which he then publishes on his social media and on the AFP platform. His stay in Croatia represents additional promotion of our country in the world because this topic is very interesting to many foreign media. 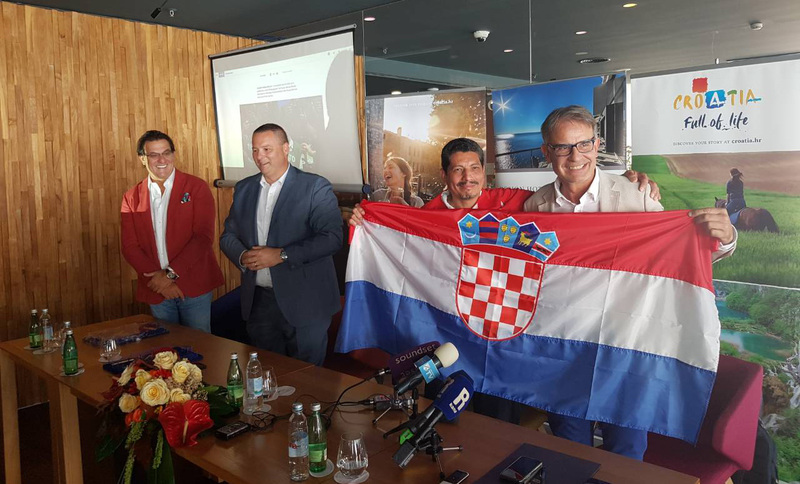 Yuri has already become a true ambassador of Croatian tourism in the world”, said director of CNTB Kristjan Staničić, adding that a crucial role in the realisation of this trip was played by many colleagues from the network of tourist boards, who have gone the extra mile to make Cortez and his family feel comfortable at all their destinations. On behalf of the Croatian Football Federation, as well as on behalf of all players of the Croatian national football team, Yuri and his family were warmly welcomed by vice president of the CFF Damir Mišković, who presented his favourite photojournalist with a Croatian national team’s kit displaying his last name, CORTEZ, and he added “A huge thank you to Yuri for having captured the most memorable moments of celebration of our national team in Russia. Such moments show the true beauty and strength of football and sports in general”. During his stay in Croatia, Yuri received a video message and greetings from Dejan Lovren and Luka Modrić, while Josip Pivarić and Mario Mandžukić sent their greetings on social media. 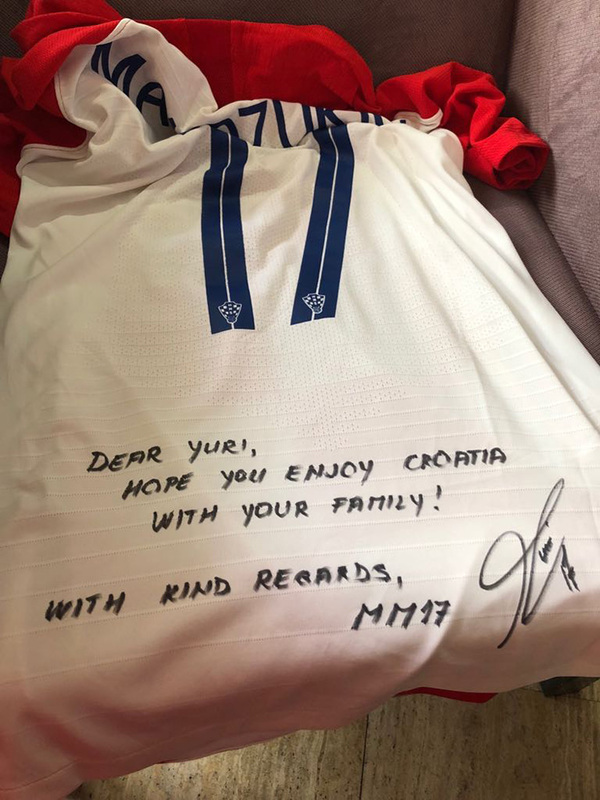 Mario Mandžukić also prepared a gift for Yuri, a Croatian national team’s kit with a special message and autograph, which was handed in to him by director of CNTB Kristjan Staničić. “With his creative photos, he managed to capture parts of the atmosphere and beauty of Croatian tourist destinations, which will travel the world”, pointed out minister of tourism Gari Cappelli adding: “Sports are very powerful tools in the promotion of Croatian tourism in the world, and Yuri Cortez happened to be in the midst of one of the most significant episodes of Croatian sports history. It is an honour to have met today the man who won the hearts of entire Croatia”, concluded the minister who handed in to Cortez a Croatian national flag as a token of an unforgettable week in Croatia. Cortez said that, together with his family, during his stay in Croatia, he experienced only exceptionally beautiful things and impressions. “I have travelled the entire world and I can say that Croatia is an amazing country, your people are warm, open and generous. You have beautiful towns that represent a heaven for us photographers and your nature is outstanding and well-preserved. We have been enjoying every minute of our trip. On my personal behalf, and on behalf of my family, I truly wish to thank you for this gesture and opportunity to visit Croatia. This is an unforgettable experience for us all. A special thank you to Croatian footballers for their kind messages and gifts, which will remind me even more of this one-of-a-kind moment of my professional career”, said Yuri Cortez. Let us add that family Cortez has visited so far Zagreb, Dubrovnik, Split, Šibenik, Kornati National Park and the island of Žut, as well as Zadar, while in the remainder of their programme they will visit Opatija and Istria.